Claire Olson is a 20-year old artist from St. Michael, Minnesota, and is recently finished her junior year at Lake Forest College, where she is double majoring in Music and Studio Art. She has been creating large chalk works since age 15, the first work being the cover of the album Aim & Ignite. 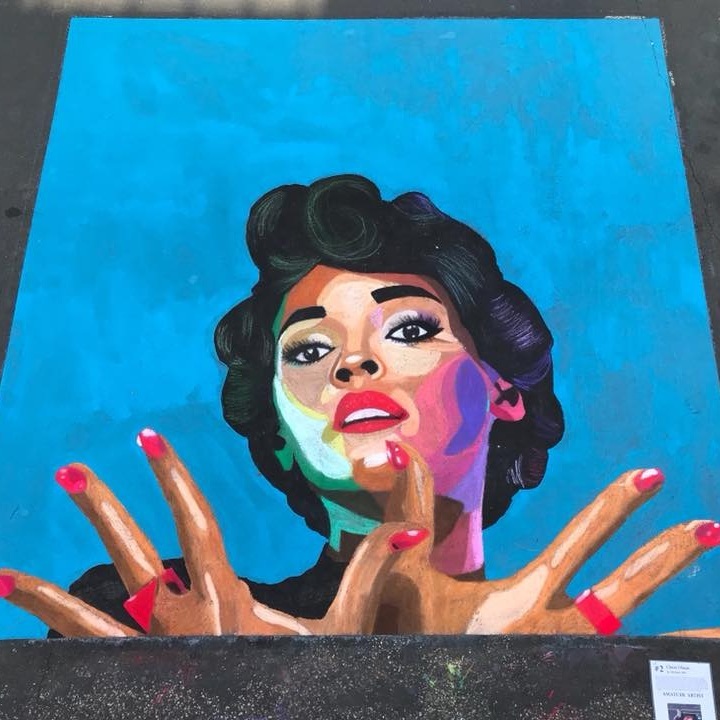 Her other chalk creations include, but are not limited to, a drawing of Jesus for a church festival, an entry in an art contest for the band Bleachers, a frame of the first motion picture “The Horse in Motion,” a portrait dedicated to David Bowie, and a portrait based on a digital drawing of Janelle Monáe. The Bowie and Monáe portraits were both created for the amateur division of Chalkfest in 2017 and 2018, respectively, and Claire won first place both years.